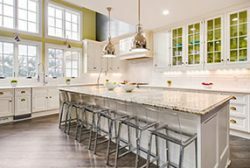 When it comes to selecting kitchen and bathroom countertops, classic white marble remains a top choice for many homeowners. It is no surprise that marble countertops are popular, as the material has been attracting fans for millennia. It creates a lovely natural pattern, which you do not get with many artificial materials. 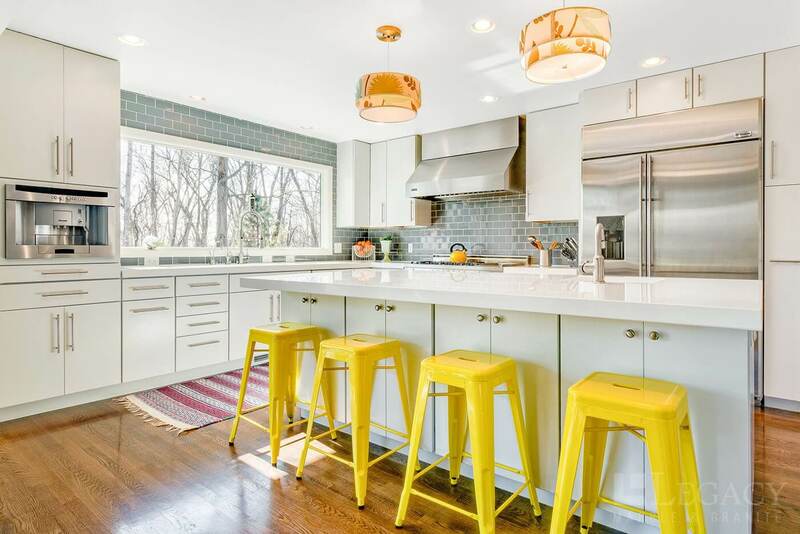 As long as you choose carefully, know what to expect, and care for white marble countertops, they can be a beautiful, functional choice for your kitchen design that lasts a lifetime. Although many people automatically think of creamy, white stone when they think of marble, there are hundreds of varieties, including taupe, green, gold, red, and black. For marble kitchen countertops, however, people generally stick with white because acid etching leaves a whitish mark that is more noticeable on colored marble than on white marble. While classic Italian white marbles like Calacatta and Statuario are generally excellent quality and a great kitchen idea, there are equally high-quality marbles closer to home, including Vermont Danby and Colorado Yule. 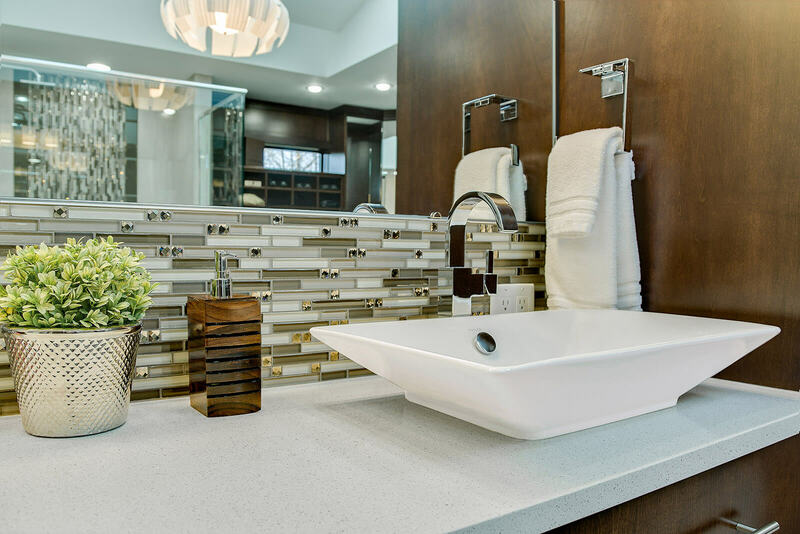 Every stone slab is slightly different, so it is ideal to select the exact pieces of stone that will be used for your bathroom, kitchen or vanity countertops. There is an art to marble—selecting the slabs and understanding where the veining is going to be located on the countertop. You want to place the markings artfully, so that it is almost like a painting. It is important to consider how different pieces come together. The longer the piece you can get without any seams, the better. If you do have seams, it is always nice to book-match the marble, so adjacent pieces have a mirrored appearance. Every quarry is different, but it is possible to cut certain types of marble blocks two different ways to achieve unique veining patterns. Crosscut, or fleuri cut, results in stone slabs with an open flowered pattern, which looks random and is ideal for book matching. 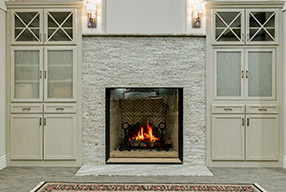 Vein cut, or striato, slices the block the other way to achieve a linear, striped appearance. 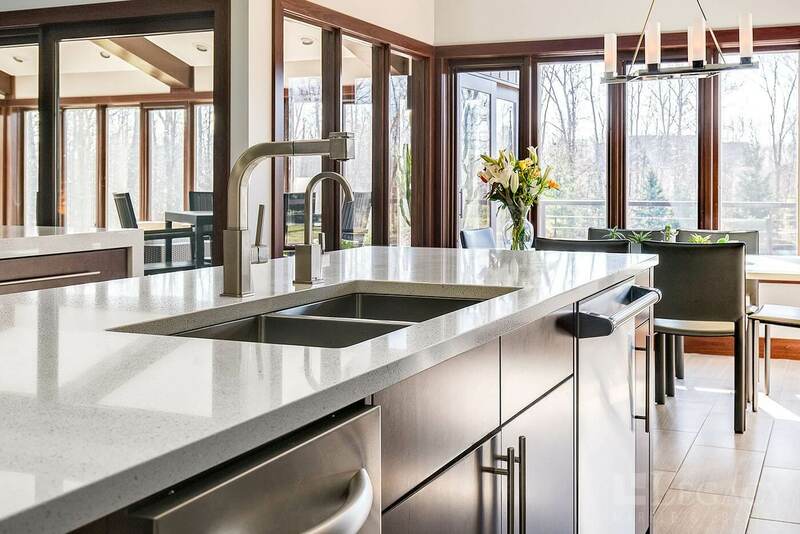 Finishing marble countertops with a penetrating sealer is essential for long-term performance. Acids will still etch the surface. Fortunately, if the countertop has a honed finish (where it has a matte appearance), an etched mark can usually be removed by scrubbing with a Comet paste using a Scotch-Brite pad, he says. If it’s a polished surface, it will require different abrasives and technical skill, which might best be left to a professional. If the marble does get a stain, it can often be removed with an alkaline poultice that gradually pulls the offending material out of the stone as it dries. However, any of these interventions will also strip the sealer, he notes, so it needs to be reapplied after the repair. 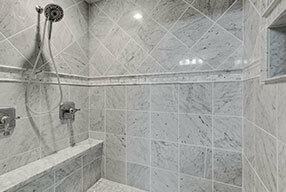 The good thing about marble is that you can always sand it down or polish it again. With many other materials, once you damage it, you cannot do that.